Enplug is a fast-growing, ubiquitous Silicon Beach company. You might be aware of their products – perhaps having seen their digital media signs in your favorite local restaurant or bar, but what you might not know is their compelling founders’ story and unique company culture. They hold a strong presence in Southern California, with locations in 30 cities. 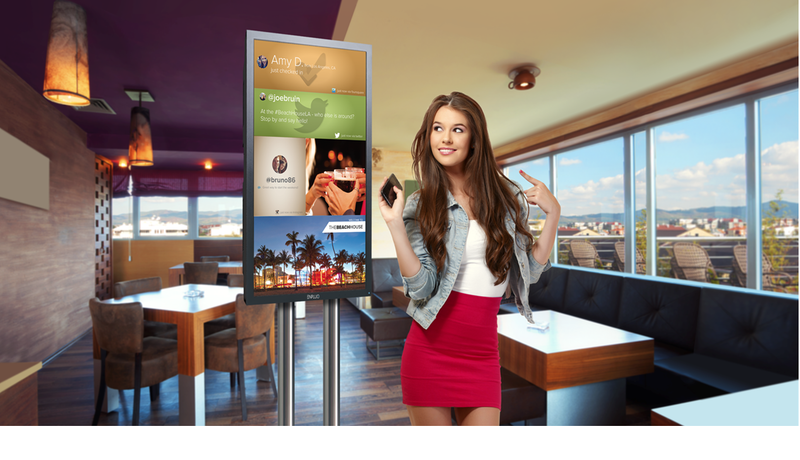 Their unique “provide value to customers first” mantra sets them apart in the digital signage industry. They’re a young upstart company who’s looking to change how we interact with digital signage and we’re thrilled to share their story with you. 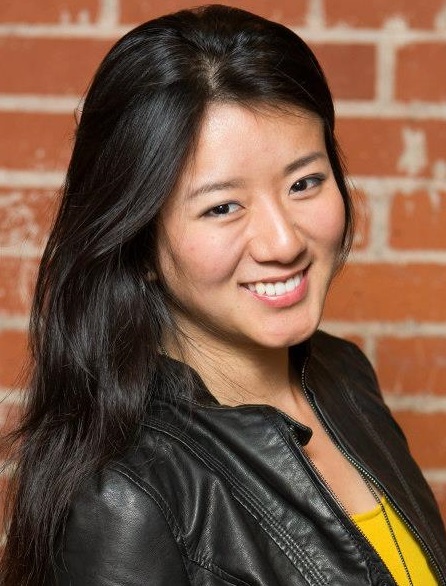 Meet Nanxi Liu, CEO and a cofounder of Enplug. We discuss the serendipitous circumstances that brought the founding team together (one of the most unique founder stories I’ve heard to date) and move to topics surrounding the future of digital advertising. 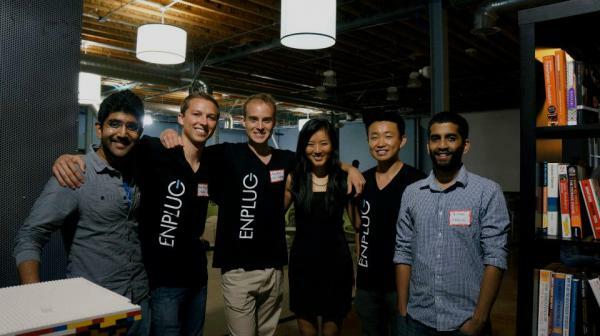 For more information about Enplug, visit their homepage and Crunchbase profile. My favorite part of the interview with Nanxi starts right off the bat as she recalls the string of fortuitous events that brought the founding team together. All members were added in quick, successive 24-hour timespans and years later, they’re still going strong. Through our conversation, we’re offered glimpses behind the lessons the Enplug team has learned along the way. Nanxi discusses her multi-discipline background at Berkeley as a student in business, political economy, and engineering. Her career path was pointing her toward a future in Biotech (she’d also cofounded a biotech company around the time), but one simple introduction recharted her course completely. In Spring of 2012, a former colleague at Goldman Sachs suggested she connect with David Zhu, an entrepreneur with an eccentric but compelling background (professional poker player, dropped out of MIT). He flew from LA to discuss his business concept with Nanxi, and after a dense hour-long discussion, she signed up immediately and made plans to visit LA the following week. The remaining members came as personal referrals – Alex Ross, Zach’s roommate (also a programmer) signed up a day later to become their lead developer. Like Zach, he left UCLA to jump in with both feet. The final puzzle piece (more like an original) was Navdeep Reddy, classmate of David’s and the one who originally conceptualized Enplug with him. “We made a significant decision to all move into a tiny 1 Bed/1 Bath place in Koreatown. We upgraded eventually, but we learned early on the impact of working and living with co-founders. You get to learn each other very quickly. By doing this, the company culture was set from day one. They lived/worked closely and established an unconventional family view of how they operated. Eventually, the team moved into a house (which at one point supported a crew of 20 people) and are presently in an office space in Culver City. The founding team built their culture around the golden rule of “what would we want?” In addition, they kept in mind the needs of employee #1 would invariably be different than #20. Basic startup perks were a given, but with a familial touch: fully stocked groceries so teammates never worried about meals, and catering options 1-2x a week. Weekly Idea Jams were (and still are) a major part of how decisions are made, and employees are always empowered to take on additional roles outside job titles (ex: looking over recycling efforts as sustainability chair). We move the discussion over to early product days. Nanxi explains their MVP’s with a refined product/model over time. “Our initial ideas looked nothing like what we’re working with now. The first product idea was putting tablets on the backs of doors in restrooms *chuckles*. We even thought about putting them in individual stalls and performed some test cases. Eventually we moved on to tablets next to checkout stations. 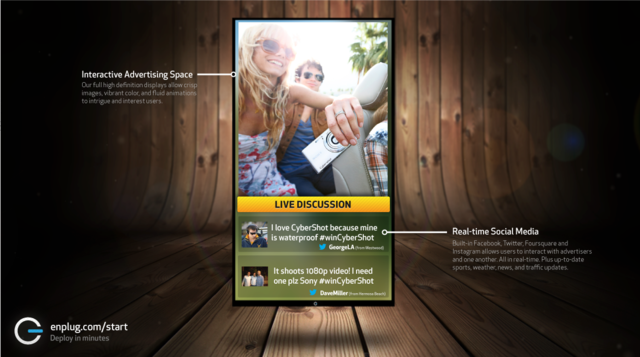 The large social media screen is Enplug, five iterations later. “We were able to provide an innovative service by focusing on helping businesses increase value to their customers. To start, we offered free signage installs to lower their risk, then focused on delivering service to prove we could add worth to their venue. It’s a very different perspective on digital signage. Instead of advertising, their large, colorful screens are a direct result of these core values. It appears Enplug has found success by mixing highly visible physical products with a focus on two-way communication and live content. (By the way) They also send professional photographers food and products for their venues, then design these bits of media into collages for their clients’ screens. All inclusive. Today, Enplug’s added ecosystem is building into their repertoire. Their hardware focused model is still in place, as screens are included in the subscription service, but as Nanxi reports, what’s in store next is the most exciting. Active expansion is in the cards for Enplug’s team. Present day, they service venues in 30 cities throughout Southern California, Phoenix, and Chicago, with offices in Los Angeles and London. This year, they plan to move into key metropolitan cities like San Francisco and New York City, aiming to be ubiquitous in as many high foot traffic areas as possible. While Enplug has found rapid success, Nanxi grounds us and gives a fair reminder that the golden road is still laid brick by brick. “One of the challenges Enplug met early on was deciding whether to take on someone who was qualified, but was also very expensive. We had an engineering candidate in the first few months of starting our company whom fit what we were looking for from a skills perspective. He was asking for a $120K salary. We asked if he was willing to take a pay cut for more equity. He said no. We ultimately decided not to hire him. The lesson carries over to the product side as Nanxi enumerates on the challenges of saying no to clients who weren’t a good fit. Our discussion takes a turn into future talk with the mention of wearbles and augmented reality. Does Enplug see a day where they could occupy the metadata space as well? With that, we conclude our conversation with Nanxi. All the best for their ongoing success. We’ll definitely check back to learn more!